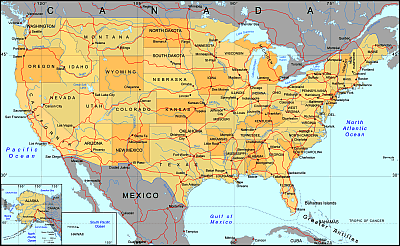 Editable royalty-free map of USA in vector-graphic online store. Prewiev of USA vector map. Mercator projection. Preview of USA vector map.Lambert projection. USA 3143 counties with names.